We love stocking Earthborn paints at Relics of Witney. Their Claypaints, designed to be especially sound for the environment, won the House Beautiful Gold Award for Best Wall-Covering and its easy to see why. 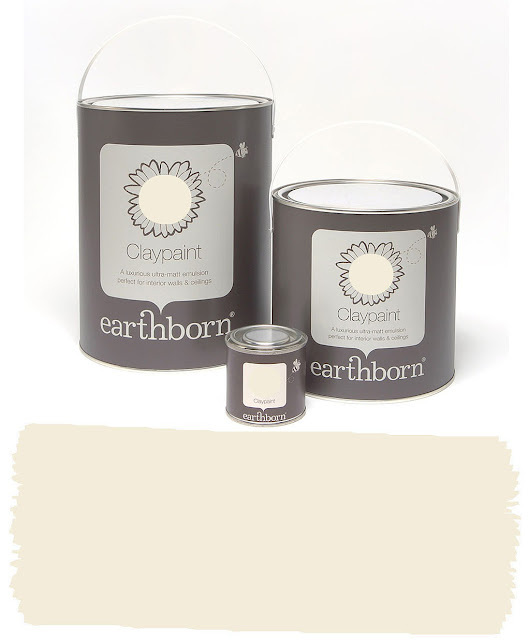 The high clay content in Earthborn's Claypaint ensures a palette that is natural-looking, as well as being beautiful. The new range of 60 colours has been carefully chosen to produce a mellow and luxurious finish. As long-time fans of Earthborn paints, we were thrilled to learn that Earthborn have introduced a new 750ml tin size, which makes a perfect purchase for furniture-painting. At Relics of Witney, we never need an excuse to get stuck into painting but we know that, for many of you who long to be able to express your creativity in this way, it can be daunting. Let us take you through the process of how to narrow down the process to produce a piece that you can be really proud of for years to come. Our first tip is to find, and stick to, your inspiration. For the piece we've chosen, which needs simple upholstery, our inspiration came in the form of fabric. The Earthborn Claypaint range complements this material perfectly. You can see how the common thread of clay gives a feeling of harmony to the different paint colours. Secondly, practice makes perfect so try out your painting technique beforehand. Have a go at different ways of sanding and blending until you find a look you love. We used a variety of colours to find the shade that best complemented our chosen fabric. If like us, you're a fan of Swedish-style grey-blues, then Earthborn's Nellie is the way to go. If you're looking for a finish that simply protects your paint, and enhances its ultra-matt surface, rather than alters its colour, then consider using Osmo Raw Oil. For a muddier look, try Osmo 3062, or Black Bison Paste Wax in Neutral. We love the way Osmo 3040 (top left) gives depth to the Earthborn Claypaint, as well as a subtle sheen. To talk through the benefits of different finishes or technqiues then come into our Relics of Witney shop, or contact us directly. 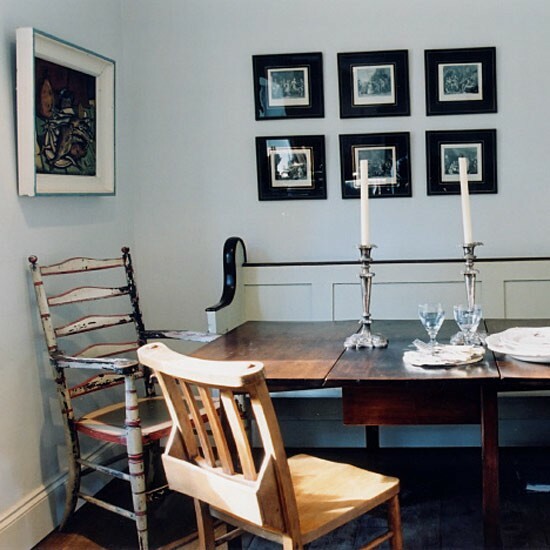 We can help you find a finish which appeals to your personal taste. Earthborn Claypaints are a real pleasure to work with, and, now, to our delight, thanks to the new 750ml size availability, eminently suitable for painting furniture. The gorgeous gloopiness of the paint means that they adhere extremely well and just cry out for antiquing effects.....But more about that next month, when we'll be talking about our favourite part...let the painting begin!